The zenith of city living around the world – a modern-day castle in the clouds – a penthouse is the urban status symbol. Found high above bustling city streets, it is a haven in an increasingly hectic world. Typically characterised by light-filled rooms, amazing views and a slick, masculine aesthetic, it suits the high-powered lives of its residents. Sharp tuxedo sofa (with on-trend channel quilting), check; marble-topped tables, check; oversized headboard, check – the Tailored Penthouse collection covers all of the key essentials of the prestigious residence. The choice of an ivory velvet rethinks the sofa’s angular lines – taking the look from undeniably masculine to stylishly unisex – and an exclusive black and gold Pakistani marble and brushed brass table range nods to the Art Deco movement, where it finds its inspiration. 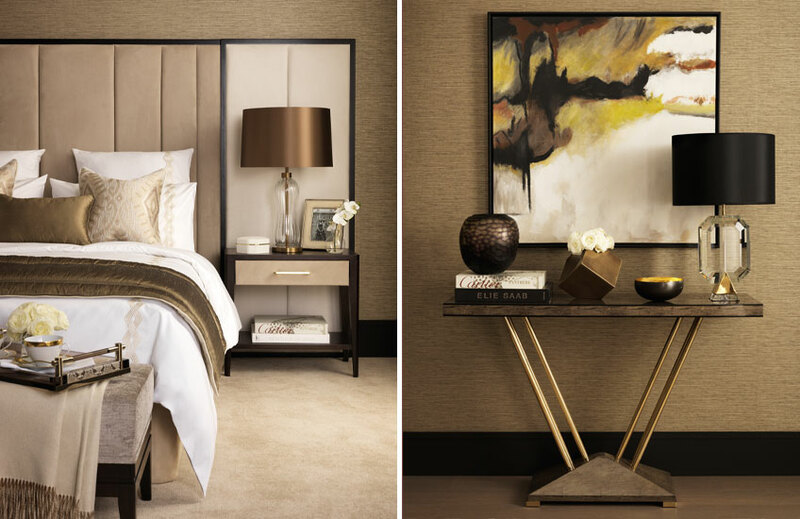 Master the new penthouse look and turn an aerie into a home with luxe layers and sleek accents. Think tactile materials (upholstered furniture is a must, as are lustrous cushions and plush rugs) well-considered lighting for that intimate feel and fine finishes (note: raw and unpolished equals loft, not penthouse). 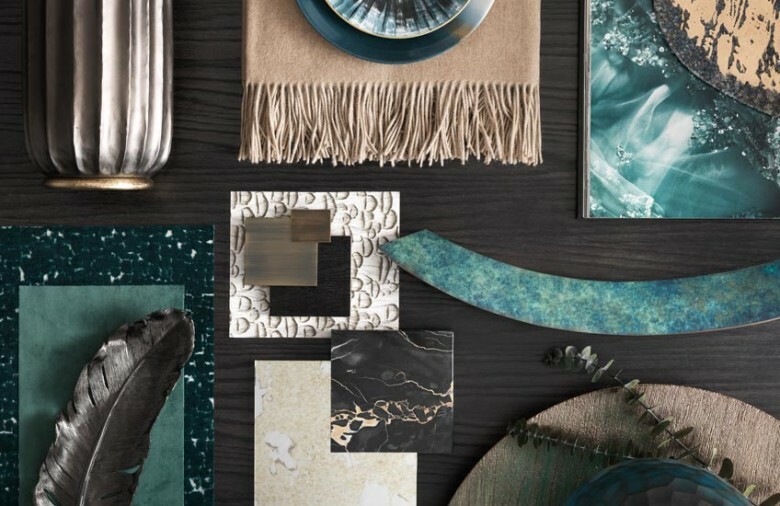 Opulent teal elevates the collection’s neutral and bronze base, adding character. 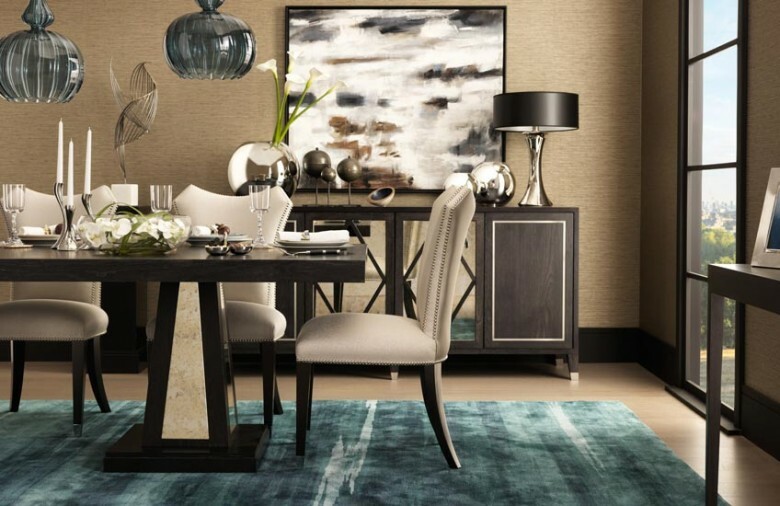 Accent chairs in the rich hue are the epitome of style confidence, mesmerising art glass makes for directional ornament alternatives and contemporary lighting capitalises on high ceilings. Use artwork and sculptural elements to play up the gallery appeal of a penthouse’s blank canvas personality and open spaces. Reinventing the look as you know it, Tailored Penthouse is the top floor’s ultimate incarnation.